Address: 6/F, Longsheng Industrial Zone 7Bldg., Baoan District, Shenzhen, Guangdong Province, China. 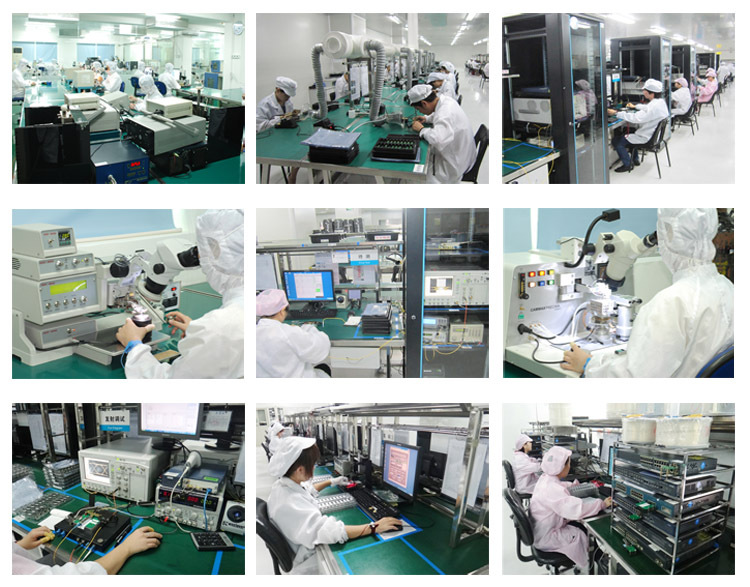 Shenzhen Sourcelight Technology Co.,Ltd is an active optical transceivers, Direct Attached Cable and optical passive device R&D manufacturer sales company, entirely devoted to product development, manufacture, distribution and customer service. 1) Optical Transceiver Module: 100G QSFP28/40G QSFP+/25G SFP28/16G&10G SFP+/XFP/2.5~155M SFP/CWDM/DWDM etc. 2) Direct Attached Cable: 100G QSFP28 DAC/40G QSFP+ DAC/40G&25G&10G Active or Passive Copper Cables etc. 3) Fiber Optic Mux Demux, MPO MTP Patchcord, Fiber Optic Splitter,cabling products etc. Meanwhile, the massive production and scientific management has resulted in cost down. So we have a competitive price to our customers. We trying our best to fulfill every customers demand, providing excellent product and perfect service.